We are specialists in procurement coding and classification, with many years experience in a wide number of commonly used coding & classification systems . We are the only provider of Track-It Master Data (formerly known as National Supplies Vocabulary) and Proclass management and mapping services. Get a detailed understanding of how much and on what you are spending? Track-IT Master Data is a procurement classification system that allows you to drill down to item level. This is achieved by using standardized descriptions to link together identical products, product codes and GS1 data from different suppliers / manufacturers. Managed & maintained by Coding International Ltd.
GS1 or bar codes are excellent for scanning identification information, but how can they be used for recording procurement history? By the use of a standardised description and code that clearly and easily identifies a product and a code that maps to catalogue numbers and GS1s. The same standardised code can then be used to compare similar products from other suppliers and aggregate overall usage. 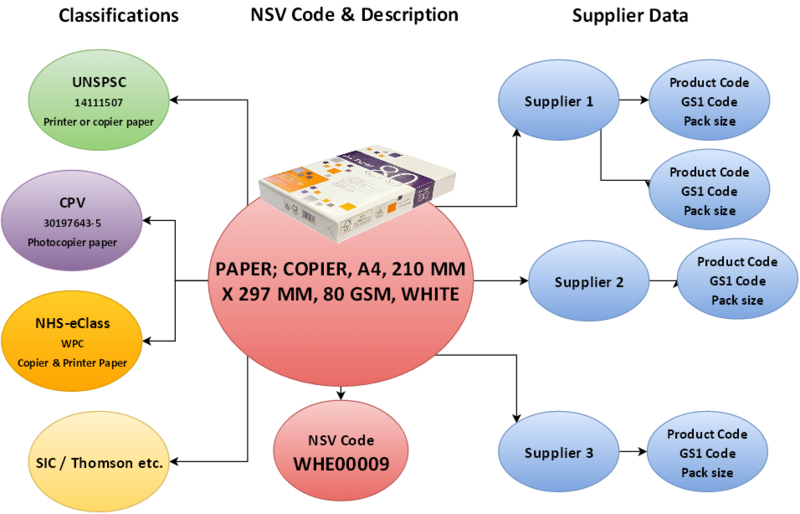 This code is the Track-IT Master Data code (formally known as the - National Supply Vocabulary – NSV). CIL can provide valuable help on getting the best from GS1 coding click here to read more . We provide strategic consultancy on GS1 & PEPPOL Implementation in the NHS, GS1 management services.